Expense Manager App – Are you struggling to manage your expenses and you always invest more than you imagine spending this month? Well, if YES then don’t worry because since last month I was also facing the same issue and because of this my savings were almost nill in the banks. We all should manage our expenses on a daily basis because it helps us to arrange the expenses + earning and at the same time we can save a lot of money if we all have an expenses data. So how you guys manage the expenses? On paper or in excel sheet on your windows? Well if you are using both of them then you are doing it wrong because you are living in 2017 and in these days we are living in the technology era. Today we have smartphones that can help us to track anything via best apps for everything whether you want messenger app, social media app, online tools applications etc. The Expense manager app will make your life easier than before, it will help you to manage your monthly budget and you will have full control over your expenses. You can also download expense manager for PC if you are a PC user and if you are an iOS user then you can download expense manager for iOS. Are you looking for an expense and budget tool? Then you need to stop searching. Expense Manager apk comes with simple and easy to understand user interface, feature-rich functionality that can handle all your expenses smartly and provide you the complete data structure for all types of expenses. I will talk more about its features later in the next para, first, let’s know more about the expense manager app. Now you can manage your expenses at your fingertips and manage your expenditures, checkbook and bills etc. Anyone can download expense manager app for Android, iOS and Windows PC for free. It is developed by Bishinews, A top rated developer by Google. We all know that there would be a reason to install an application on your Android phone because we don’t want to fill over phone memory with unused applications. So I have to give you the reasons why you should use Expense Manager. Tracking our monthly expenses is a good idea because it helps us to keep the record of our money. It also helps us to save money by setting an expense target on the monthly basis so we don’t spend more money than what we need to. Expense manager works great for all those purposes, it has all the inbuilt features for our requirements. So if you are calculating your expenses on a spreadsheet or rough paper, then you need to change your habit! Because it is hard to keep all the documents and spreadsheets for your monthly expenses. I know it is not a good idea to write all the expenses one by one on a paper or in the spreadsheet. This is the situation where Expense manager app will help you, so all your expenses will be at your fingertips. So now we will talk about its features so you will have an idea about what facilities you will get with the expense manager app for Android. You can track any type of expenses and incomes. Record all your items in a single transaction with different category and amount. You can add multiple accounts on this app to track all your banks. Also, you can get all receipts anytime you want. You can organize bills by week, month and year as well as by categories. Schedule the payments and recurring payments. With expense manager, You can set your yearly, monthly, and weekly budget with expense manager. You can download receipts in HTML, CSV, Excel, and PDF. You can take backup of your expense sheets on Dropbox, Google Drive, and SD card. Automatic sync between devices via Dropbox. No registration required work without the Internet as well. Expense manager allows you to search by category, subcategory, payee, tag, payment method, payer and more. And plenty of more features are there on this app. 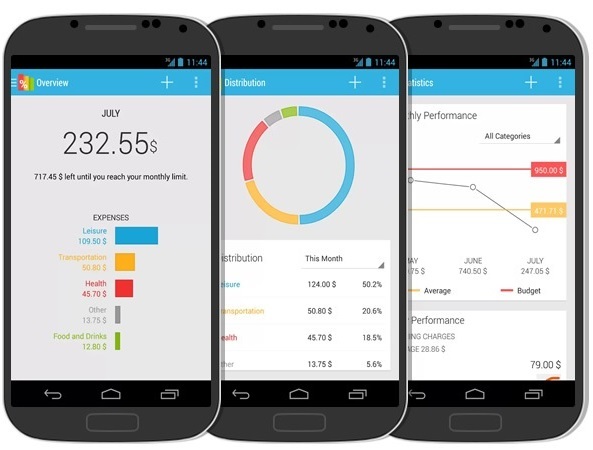 How to Download Expense Manager App for Android? Open your Play Store App and Type “Expense Manager” or Click Here. Click on Install and wait for the installation process. Now once the installation is done, click “Open” and open the app. Now you need to sign up with your Facebook or Email, Do that for access your personal account on expense manager. Once you signup just simply login and start using this app. We hope you find this post on Expense Manager App useful and now you know how you can manage your expenses easily. If you find this post helpful then do share it. If you have any query then drop your questions in the comment section below.